VLADIVOSTOK, September 11. / TASS /. Several agreements have been prepared ahead of the talks between Russian President Vladimir Putin and Chinese President Xi Jinping on the sidelines of the Eastern Economic Forum (EEF) on Tuesday, the Russian Ambassador in Beijing Andrei Denisov told TASS. "We are preparing [agreements] as we always do in these cases," said Denisov. When answering a question on what documents would be signed, Denisov said that "it is too early to talk about it." "We have a constant process of contract accumulation, added Denisov. According to Denisov, there has never been a time that the two leaders were unhappy with the course of the talks. "I don't remember any issues that we of concern to them, left undiscussed," the diplomat pointed out, especially considering that the meeting will take half a day and will continue the following day as well. "They can continue the dialogue both at the dinner table and during negotiations, in a small circle or as part of a large delegation," he said. Denisov added that indeed, a large delegation has arrived from China, from various departments, state sectors, companies and public figures. Russia and China are unlikely to compete in the economic recovery of Syria, Russia’s Ambassador in Beijing Andrei Denisov told TASS on the sidelines of the Eastern Economic Forum (EEF). "In fact, I would not talk about competition. There are aspects our Chinese colleagues are particularly good at, such as the construction of infrastructure facilities. This is their strong point. If they can provide effective assistance in this area, we welcome it." "The scale of reconstruction is so huge that there will be a place for everyone. Moreover, our country and China are not going to isolate themselves, on the contrary, we are actively calling on all countries to participate in the reconstruction of Syria’s ruined economy and the social sector, "the ambassador said. "So everyone will have a job," he concluded. 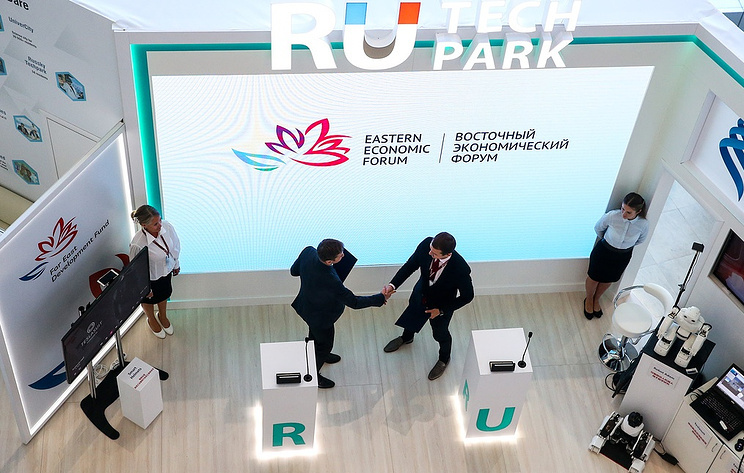 The 4th Eastern Economic Forum is held in Vladivostok on September 11-13.